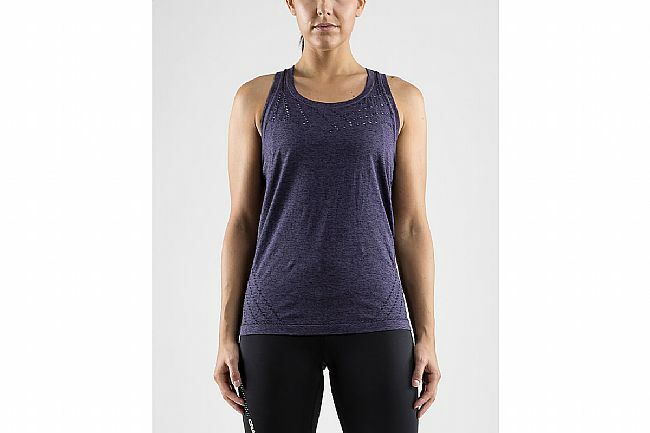 The Women’s Core 2.0 Tank Top from Craft features a racerback strap design, allowing the arms and shoulders full range of motion. It's seamless, made of plush, moisture-wicking fabric so it's soft against the body and dries quickly by transporting moisture from the skin to the fabric's outer layer where it evaporates. To ensure maximum comfort and ergonomics, this top has an athletic fit cut that stays close to the body without constricting. This isnt a bike jersey. Nice enough but just a pretty tank top.